The development of paint-your-own ceramics studios, at which ready-made bisqueware and studio time for decorating it are sold, has made pottery decoration accessible to a wider public than ever before. 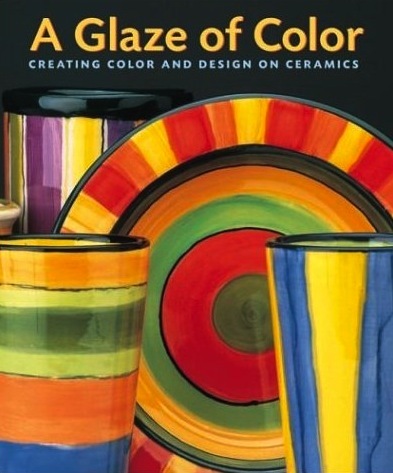 Ceramics artist Jane Davies demonstrates how to decorate the surface of ready-made bisqueware and tiles using commercially produced decorating colors known as underglazes and other materials to create beautifully colored pieces. Practical step-by-step demonstrations of a variety of application methods-including brushing, shading, sponging, masking, sgrafitto, spattering, stamping, stenciling, marbling, majolica, and underglaze pencils-provide inspiration for decorating tiles, plates, cups, bowls, lamps, vases, and decorative platters. Davies also explores the creative possibilities of colored glazes, as well as decorating pieces after firing with acrylic paint and paper collage.